With days to go until the ABB FIA Formula E Championship returns to the majestic streets of Marrakesh for the third time in the series’ history, we take a look back at the lesser-known stats and facts behind the race in the Red City on Saturday 12. With foundations in the 11th century AD, Marrakesh is one of the four imperial cities of Morocco, along with Fez, Meknes and the current capital, Rabat. Affectionately named the ‘Red City’ for its numerous red sandstone buildings, the city has a population just under one million. Mahindra Racing’s Felix Rosenqvist claimed pole position in the first ever Marrakesh E-Prix in November 2016 (Season Three), while it was then Renault e.dams driver Sebastien Buemi who secured pole in last year’s race. Strangely enough, the first win in Marrakesh (2016) went to Buemi, while Rosenqvist recorded the win second time around. With Rosenqvist out, who will clinch the win this time around? Alongside Formula E, Morocco has played host to races in the World Touring Car Championship, AutoGP and, as a one-off, brought down the curtain on the 1958 Formula One World Championship, which saw racing legend Stirling Moss clinch the win in a Vanwall. Both previous races in Marrakesh lasted 33 laps (98 km) but only two drivers have had the honour of leading the Marrakesh E-Prix – the same two drivers to have secured pole position in Morocco – Sebastien Buemi and Felix Rosenqvist. The lap record was reset during last year when Audi Sport Abt Schaeffler’s Nico Mueller posted a time of 1:19.651s during the official rookie test. 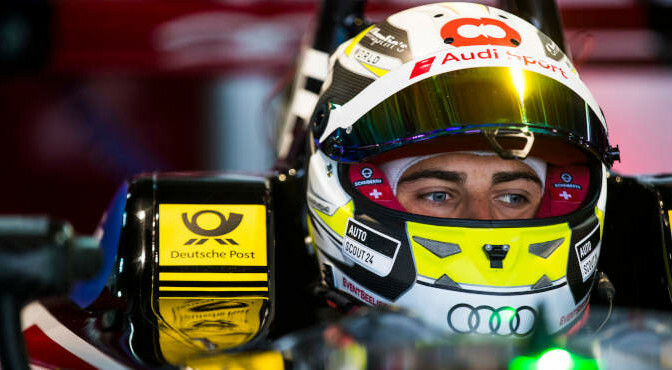 The German driver beat the previous lap record of 1:19.760 set on the Marrakesh course by regular Audi driver Daniel Abt the previous day (though air and track temperatures were slightly higher on the Sunday when the Rookie Test took place). Celebrating his 32 birthday on Saturday 12 (race day) is Venturi Formula E’s Edoardo Mortara. Just ahead of him is Envision Virgin Racing’s Sam Bird who also turns 32 on Wednesday – three days before the race. Is there such a thing a birthday luck? The same three drivers were awarded the extra power from FANBOOST for both previous Formula E races in Marrakesh, namely Sebastien Buemi and Audi Sport’s Lucas di Grassi and Daniel Abt. DS Techeetah’s Andre Lotterer didn’t have the best of times in Marrakesh last year. The German driver started the race at the back of the grid ,after being penalised for missing the signal to enter the weighbridge after qualifying, he then sent Nico Prost into a spin on lap 3, before eventually retiring the car due to a hardware malfunction after completing 14 laps. Despite winning the opening round of the 2018/19 season, BMW I Andretti Motorsport’s Antonio Felix da Costa is yet to score any points in Marrakesh. Similarly, Mahindra Racing’s Jerome d’Ambrosio has never made it into the points in Morocco during his time with former team Dragon. With both drivers making it onto the podium in the last race with their new teams, they’ll be hoping for a similar result here in the Red City. 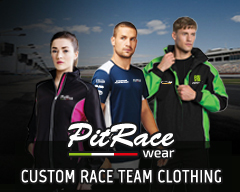 Other seasoned drivers yet to score any points in Marrakesh are, Andre Lotterer, Edoardo Mortara, Mitch Evans (Panasonic Jaguar Racing), Robin Frijns (Envision Virgin Racing) and Tom Dillmann (NIO Formula E Team). For Envision Virgin Racing’s Sam Bird and Nissan e.dams Sebastien Buemi, Marrakesh is a healthy hunting gorund for the two seasoned Formula E drivers. Bird has earned podium finishes in each of the two Marrakesh races, while Buemi is yet to finish below the top two in the Moroccan city. The Swiss driver won the first ever Marrakesh E-Prixin 2016 and came second last year behind Felix Rosenqvist.